The Advanced Mariachi Ensemble at Chavez Huerta Preparatory Academy in Pueblo. As the 9am bell rings at Chavez Huerta Preparatory Academy - a charter school on Pueblo's west side - kids make their way between small classroom buildings scattered about the campus. In a little room in one of those buildings, a handful of students tune up for their morning music class. Jorge Melo leads a syncopation exercise. Leading the class is Jorge Melo. He wears a well-tailored, pale green suit adorned with gold-embroidered eagles and a large green neckerchief, sort of like a floppy bowtie. "It's a traje, a traje de mariachi," he explains. A traje is the traditional performance outfit for mariachi musicians. Most of the students in Mr. Melo's class, who range in age from 14 to 17, are wearing trajes too. "This is the advanced mariachi aguila," says Melo. "We have basically 11 musicians that perform, the other musicians that you see that don't have a traje, they are understudies in the class, so they get the opportunity to come into this class so that they can learn." Like choir or marching band at other schools, mariachi is integrated into the curriculum at Chavez Huerta - a college prep school named for Cesar Chavez and Dolores Huerta, civil rights icons and co-founders of the National Farm Workers Union. The advanced mariachi group is the premier music ensemble at the school. Mr. Melo runs the mariachi program, which includes classes for students at all ages and levels of musical ability. 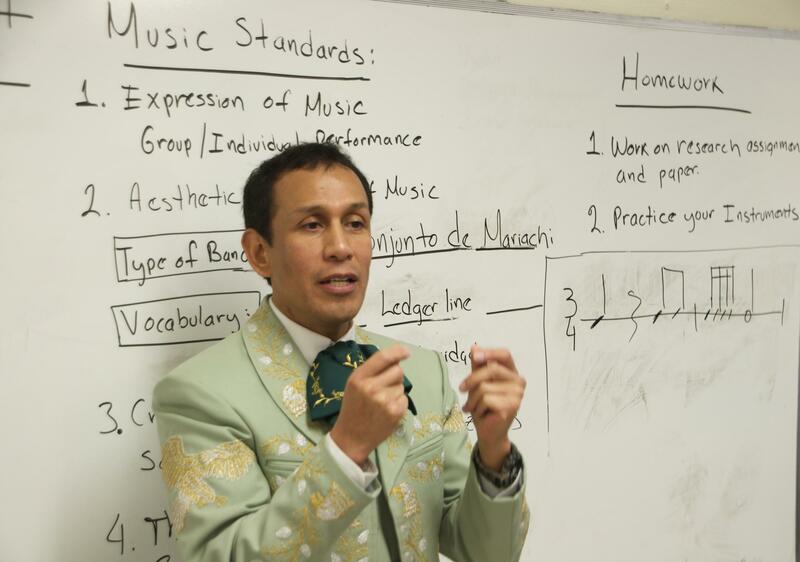 In his courses, he adapts the Colorado state music education standards to mariachi instruction. "So they get to perform, individually and in groups. They learn vocabulary, new music, scales, intervals, they practice rhythms. And the rest of the week, we rehearse songs," he says. 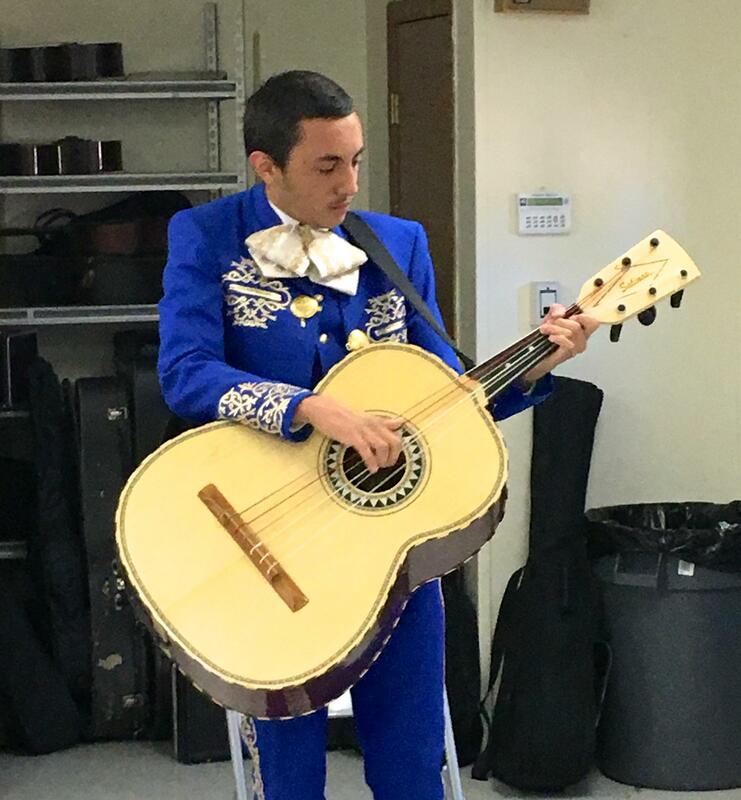 Jeremias Bannister plays guitarron in the mariachi ensemble. In the group there are violins, trumpets, guitars, and a guitarron – which looks like a jumbo acoustic guitar and sounds a bit like a bass. Melo says, in these instruments, you can glimpse the history of mariachi, which was born in Mexico out of the interaction between the country's indigenous people and the music of European colonists. "The violin is a European instrument, right? And the Spanish guitar," he explains, "well, indigenous people from Mexico, during the colonial time, they adapted the instruments and they started to build their own music: the peasant music, the town music, the one that comes from the heart." The ensemble plays an array of mariachi standards: La Negra, Los Machetes, Viva Mexico, El Rey. Mariachi can encompass a wide range of styles and genres, but Mr. Melo explains that the genre most closely associated with mariachi is called "son." "Son has a lot of syncopation in it. It's very hard, even for classically trained musicians, to be able to play the syncopation," he says. 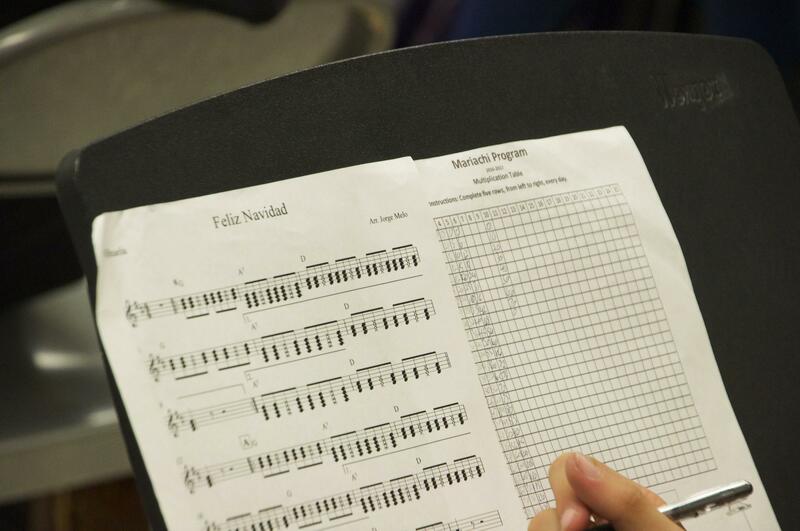 Getting started early gives his students a leg up, as they work to master the more complex aspects of mariachi music. "When they start young, like [the students in the mariachi ensemble], it just becomes a natural thing." "We really love mariachi music in Pueblo. It's a unique thing, we have it in our roots. It doesn't matter if we are called Chicanos, or we cannot even speak Spanish. It's part of the culture." The mariachi program at Chavez Huerta was started shortly after the school was founded in 2001. Before Mr. Melo was hired to run the Marachi program in 2009, he was living in Denver, where he earned a master's degree in music. He says he was attracted to Chavez Huerta after the school's then-CEO, Lawrence Hernandez, explained the special significance of mariachi music in Pueblo. "He told me, we really love mariachi music in Pueblo. It's a unique thing, we have it in our roots. It doesn't matter if we are called Chicanos, or we cannot even speak Spanish. It's part of the culture." According to media reports, Hernandez was fired from the school in 2009 amid a controversy over mismanagement. But the school's commitment to mariachi has persisted. The students in the mariachi ensemble come from a variety of backgrounds, and they all had their own reasons for joining the group. Some, like violinist Leticia Garcia, say they grew up with mariachi music. "My grandparents used to listen to mariachi a lot. It's always been a thing we all listened to," she says, "I have a close cousin that recently just passed away, and that's how we bonded." Mr. Melo leads the class in a vocal warm-up. Trumpet player Erick Dominguez says he also has strong family ties to mariachi. "My parents listen to mariachi music a lot, actually just Spanish music in general, and it really just runs through the family," he says. "Recently I had an uncle pass away. My mom told me a story about him, that he always used to sing this one song. It just happens to be a song that I actually sing in mariachi, it's called Hermoso Cariño. It was one of his favorite songs, and I just carry it on." Other students, like 14-year-old Isaac Milsaps, say they had barely listened to mariachi music prior to joining the ensemble. "Not very much at all, because, I just hadn't been exposed to it. But I enjoy it very much," he says, adding that he likes "the energy—the passion and the singing. It's such a passionate form of music." Regardless of background, the students seem to share a love for the music and a strong feeling of community in the mariachi ensemble. Elissa Velasquez is a guitarist in the ensemble. She says she was reluctant to join at first, and even tried to quit after her first year. "But then Mr. Melo brought me back, which I'm so glad for, because I love it now. Mariachi is like a family, and it's my passion now," she says. "Mariachi is like a family, and it's my passion now." Cajoling aside, Mr. Melo says his students are serious about the music. In them, he says, he sees the passion that defines the sound and spirit of mariachi music. "Working with my students here, they have something special," says Melo. "You can see that they are very young, but they have a passion for this. I am very proud of each of they them. They have unique personalities, but once they start performing and rehearsing, I think those different personalities become just one, and that's super important." 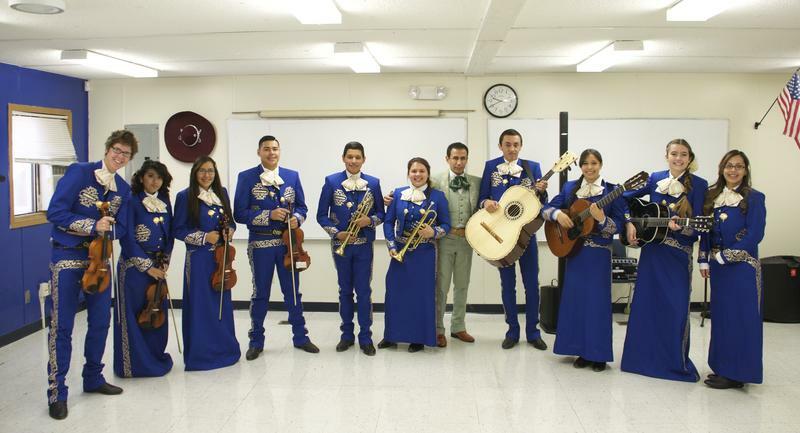 The advanced mariachi ensemble has performed throughout the state, and some of the students have even had the traveled to France, Spain, and Portugal to play. For Melo, who grew up in Mexico but has traveled and performed all over the world, mariachi has a power that transcends language and culture. Students in Mr. Melo's beginner mariachi class take a break to work on multiplication tables. "Despite the race, despite the place, mariachi music involves a lot of deep feelings, and people feel the same. It doesn't matter if they don't understand the language, they understand and feel the music," he says. " That's mariachi music." The next performance of the Chavez Huerta advanced maraichi ensemble will take place on the evening of Friday, December 9th, at the Chavez Huerta Preparatory Academy campus. The event is open to the public. On this episode of Air Check we dive into the local punk music scene with the local group Cheap Perfume, Vicky hosts the Denver based band Paper Bird for an in studio performance and interview, Jake heads to the Chavez Huerta Preparatory Academy in Pueblo to uncover the makings of mariachi music, and Mike Love of the Beach Boys talks with Vicky about lyrics on demand and meditating with the Beatles and Maharishi. All that, AND three of our favorite new songs. 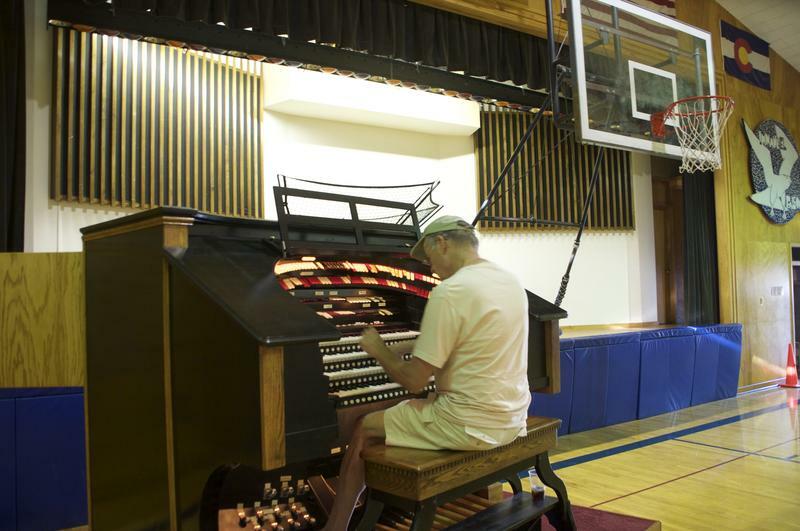 In a nondescript gymnasium behind Immanuel Lutheran Church in Colorado Springs, there lives an incredible instrument. 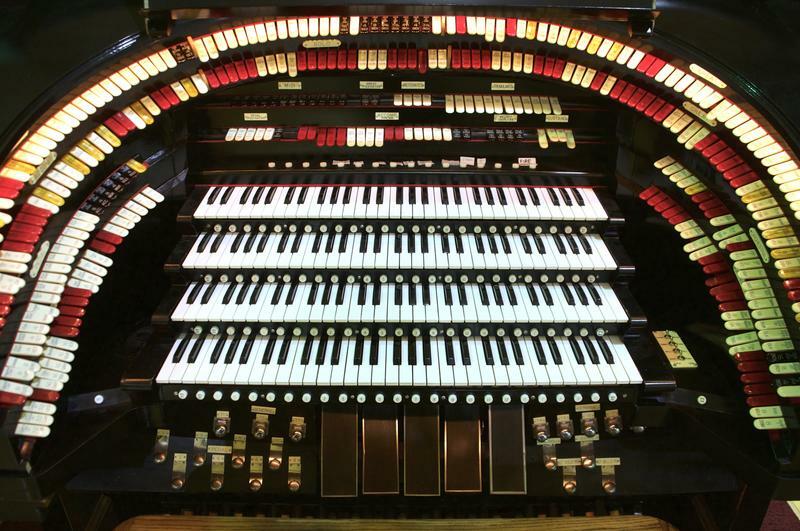 It's affectionately known as the "Mighty Kremer Wonder Organ," or "Kremer Opus One," and it's the largest theater pipe organ in Colorado. C.J. Boyd is a man on the move. 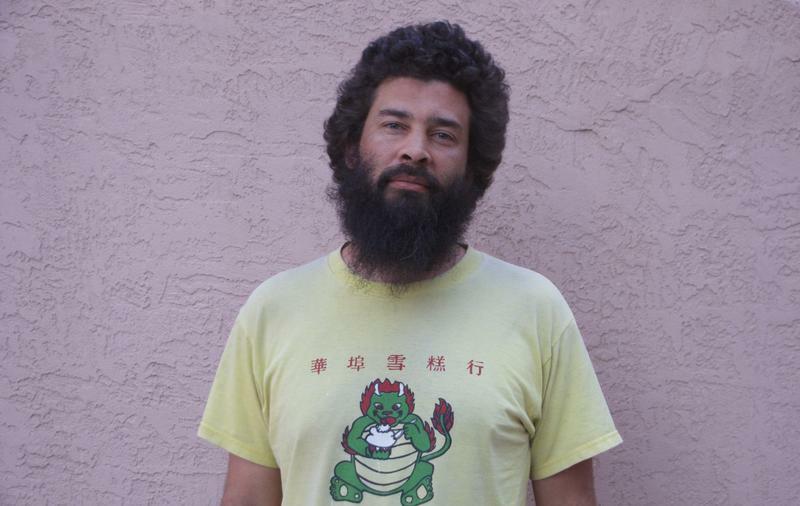 For the last eight years, the bassist has been on permanent tour--living out of an old ambulance converted to run on veggie oil, playing night after night in coffee shops, bars, art spaces, punk houses, and just about every other imaginable venue. And that's just how he likes it. On Episode 8 of Air Check, Jake Brownell meets a group of theater pipe organ enthusiasts working to keep the instrument alive, Jeff Bieri speaks with professor of musicology Ryan Banagale about the Billy Joel Conference at Colorado College, we visit with CJ Boyd who passed through Colorado Springs recently on his never-ending tour, and Vicky Gregor hosts the Fort Collins indie-folk group SHEL for an interview and performance.